Director Mike Roma recently charmed an awful lot of people with his web series, Danny The Manny. Now he’s about to start shooting his first movie, and he’s pulled together a great cast for the gay-themed project, called (slightly disturbingly) Dating My Mom. Law & Order: Criminal Intent’s Kathryn Erbe and newcomer Patrick Reilly will take the central roles, with Kathy Najimy, Paul Iacono and James Le Gros also onboard to star. 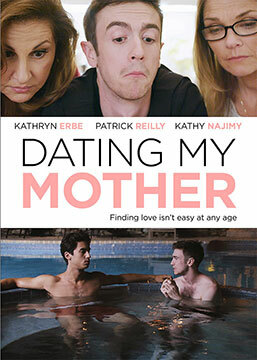 The movie explores the intimate and sometimes tumultuous relationship between a single mother (Erbe) and her gay son (Reilly). Together they navigate the world of online dating as they search for their versions of ‘Mr. Right.’ Le Gros will be as Erbe’s love interest, Najimy plays her neighbor, which Iacono plays Reilly’s potential boyfriend. The movie is due to start shooting next week in New Jersey. It’s not known yet when we might get to see it.